The main character – Sophie is a young and good-looking girl. Get as much “”likes”” as you can in Selfiegram social network, gain more followers to be rewarded with Sophie’s hot new photos afterwards! Simple yet addictive gameplay. 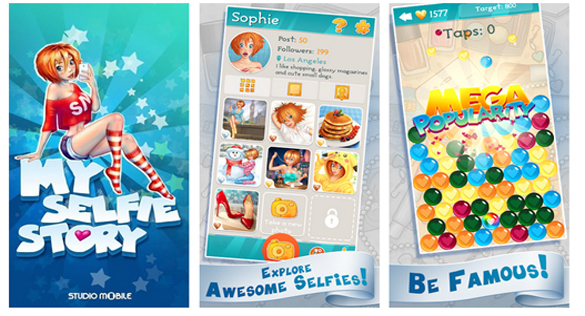 Collect various “”like”” combos as fast as you can or as much as you can; hold new records – do everything you can to make Sophie famous! Impressive graphics. Juicy hi-definition art will set the perfect mood for the story; can you unlock every selfie in the game? You can compete with your friends, help the less fortunate and share your best moments with your Twitter, Instagram VK and Facebook followers and friends.